Are you looking for a chauffeur service in Munich that is reliable, competent and flexible? Then your search will come to an end, because here at Munich Business Shuttle you are exactly right! With our chauffeur service Munich, we offer you a professional service for your professional or private journeys in and around Munich. Our local chauffeurs from the Chauffeur Service Munich undergo regular driving tests, are constantly trained and speak at least two languages – German and English. Friendliness and a high level of service are a matter of course for us for the benefit of our customers. Of course, you may choose the vehicle with which you may bring our driver to your destination. Simply select your desired sedan online from our exclusive fleet of limousines from well-known brand manufacturers. Alternatively, we also like to chauffeur you in your own vehicle, if you only need a Munich chauffeur service and do not want to hire a limousine with a chauffeur. Book the Munich Chauffeur Service Munich online for your next trip! If you want to hire a limousine with a chauffeur, then Munich Business Shuttle is in the right hands. The Chauffeur Service Munich stands for years of experience, competence and exclusivity. In addition to a VIP chauffeur, the Chauffeur Service Munich offers a large fleet of vehicles, with the latest sedans and sophisticated equipment. Even high-quality hybrid vehicles or luxury vans are available at Chauffeur Service Munich at any time. Our vehicles are all equipped with GPS transmitters, so that we can respond quickly and flexibly to changes in the plan as well as directly to incoming traffic reports and bring you to your destination on time. You can choose freely, depending on your needs, whether you want to hire a VIP chauffeur, so only our chauffeur service Munich, or whether you want to rent a limousine with chauffeur. You decide that yourself. We are prepared for almost all customer requirements and our ultimate goal is to meet your wishes. With our services at Chauffeur Service Munich we cover everything, from the usual Munich driving service to the VIP chauffeur to the chauffeur service Munich with limousine of your choice. The Munich Business Shuttle Chauffeur Service Munich provides experienced and trained drivers for your business appointments, sightseeing tours or airport transfers. Of course, you can conveniently book our Chauffeur Service Munich online. With just a few clicks to your VIP chauffeur. In addition to the fact that traveling with our Chauffeur Service Munich is pleasant, comfortable and stress-free, you can also focus entirely on your tasks and always arrive well prepared and rested to your destination. Our Chauffeur Service Munich will gladly put together the right solution for your individual requirements. Time efficient, as well as exclusive and comfortable, reach all destinations with our chauffeur service Munich. We make this claim to our chauffeurs, who bring our guests safely and directly to each destination for our Chauffeur Service Munich. With low prices, we offer our high-level chauffeur service Munich for everyone. Our high standards make our Chauffeur Service Munich the first point of contact for many companies when it comes to first-class driver service. One of the main reasons for this is our chauffeurs. These are professionally trained and always show perfect manners, no matter if you need our chauffeur service Munich for an airport transfer, limousine service or other VIP shuttles. Our chauffeurs regularly take part in safety training. Not only do you have a proven driving experience, you also speak several foreign languages and you convince with excellent service. And discretion is of course our top priority! 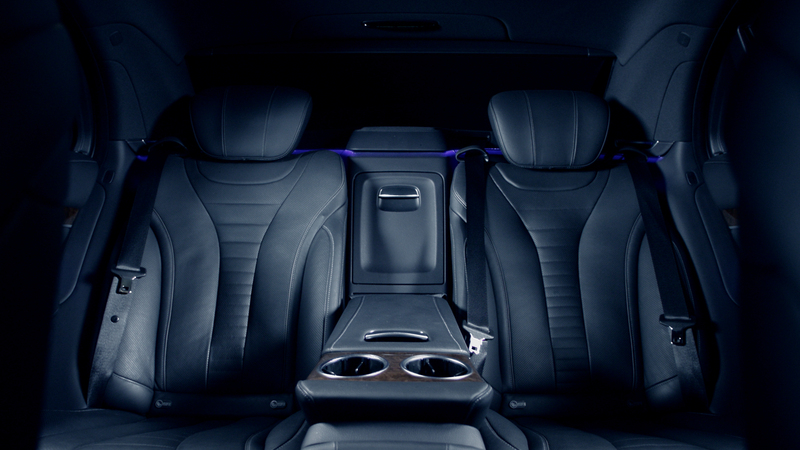 Take advantage of the drive to relax or to work concentrated, with the chauffeur service Munich. And do not worry about route, traffic and construction sites. Book your own chauffeur in just a few steps online and enjoy our first-class service. If you have any questions, we will be happy to advise you. Feel free to contact us via our website, by e-mail or by phone.